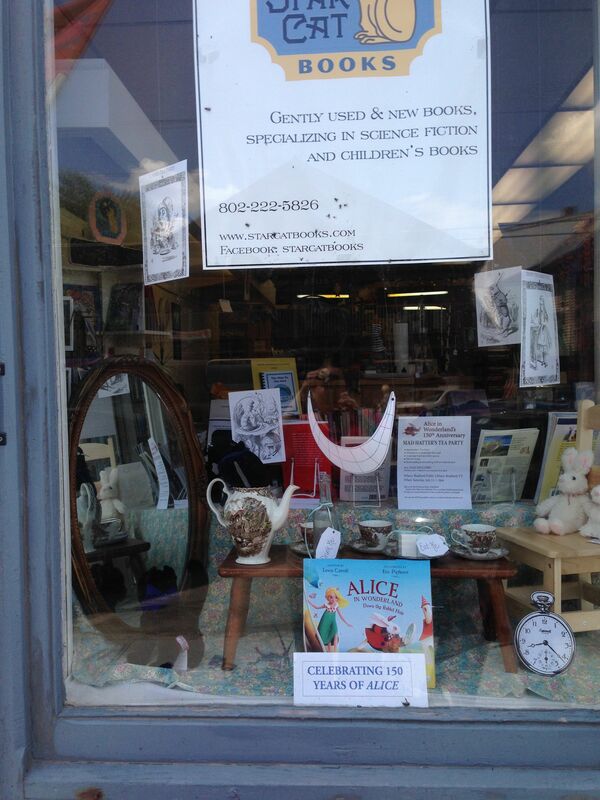 We’re having a 150th CELEBRATION OF THE PUBLICATION OF ALICE IN WONDERLAND on Saturday, July 11th, from 1pm-3pm, at the Bradford Public Library in Bradford, VT. 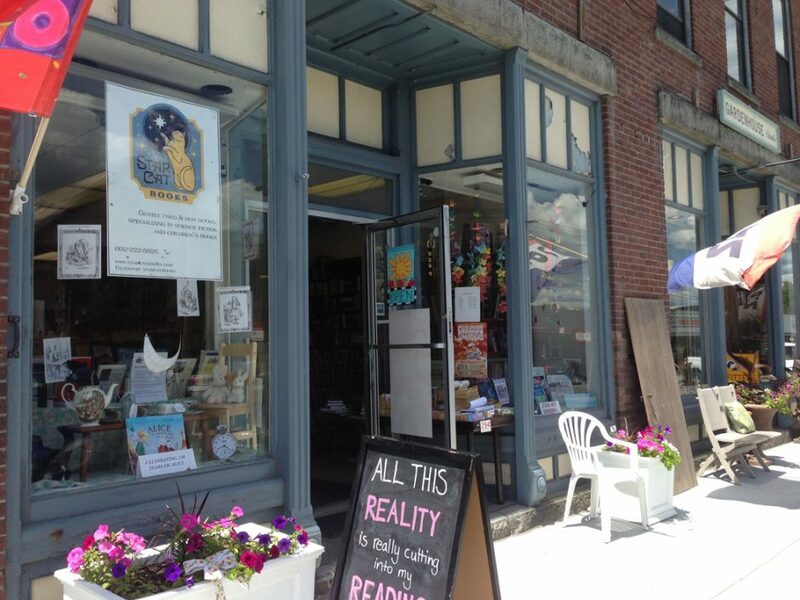 Participants include Star Cat Books, North of the Falls, and the Local Buzz, among others. I’ll be creating an event on our Facebook page, but here’s a pre-event photo of our store window celebrating ALICE!